Rainfall forecasts from dynamical global climate models (GCMs) require post-processing before use in hydrological models. Existing methods generally lack the sophistication to achieve calibrated forecasts of both daily amounts and seasonal accumulated totals. We develop a new statistical method to post-process Australian GCM rainfall forecasts for 12 perennial and ephemeral catchments. Our method produces reliable forecasts and outperforms the most commonly used statistical method. This work developed models to predict how much water will be available in the next month to maximise environmental and social outcomes in southern Australia. 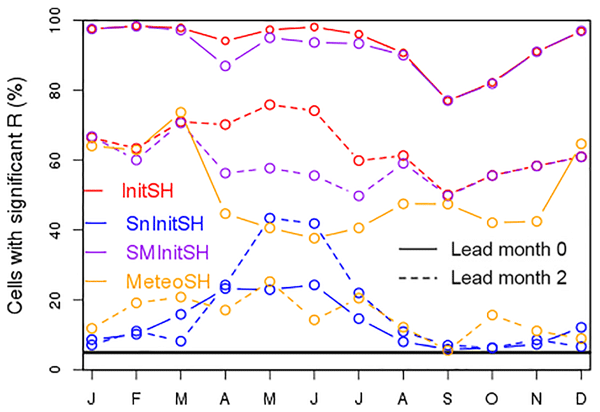 Initialising the models with observed streamflow data, instead of warmed up by rainfall data, improved the results, even at a monthly lead time, making sure only data representative of the forecast period to develop the models were also important. If this step was ignored, and instead all data were used, poor predictions could be produced. The theme of the paper is exploration of the potential for seasonal flow forecasting for large lakes using a range of stochastic transfer function techniques with additional insights gained from simple analytical approximations. The methods were evaluated using records for two of the largest lakes in the world. The paper concludes with a discussion of the relevance of the results to operational flow forecasting systems for other large lakes. Inland waterway transport is a commercial sector relying on hydrological forecasts on different timescales. 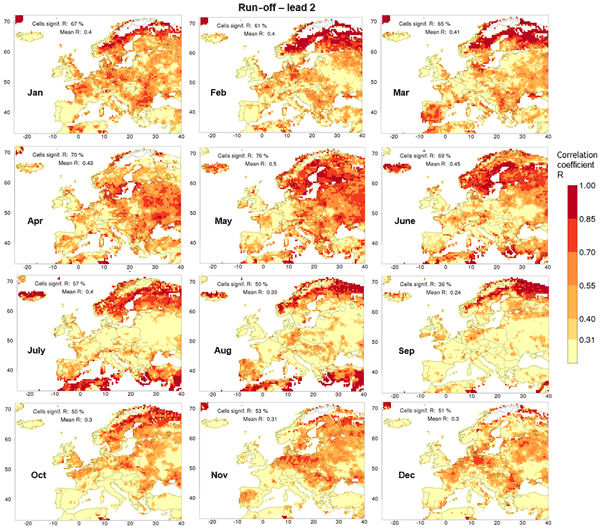 This paper describes the set-up of a monthly to seasonal forecasting system for the German waterways. Multiple approaches are tested, compared and combined. 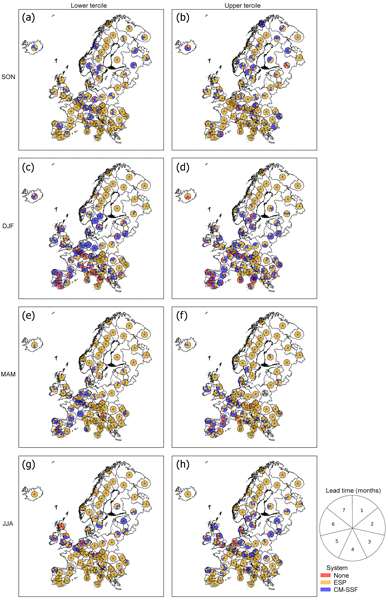 Despite the predictive limitations on longer lead times, this study reveals the existence of a valuable predictability on monthly up to seasonal timescales. Forecast quality depends on forecast location, lead time and season. We assess a new streamflow forecasting system in Australia. The system is designed to meet the need of water agencies for 12-month forecasts. The forecasts perform well in a wide range of rivers. Forecasts for shorter periods (up to 6 months) are generally informative. Forecasts sometimes did not perform well in a few very dry rivers. We test several techniques for improving streamflow forecasts in drylands, with mixed success. Disaster managers would like to use seasonal forecasts to anticipate flooding months in advance. However, current seasonal forecasts give information on rainfall instead of flooding. Here, we find that the number of extreme events, rather than total rainfall, is most related to flooding in different regions of Africa. We recommend several forecast adjustments and research opportunities that would improve flood information at the seasonal timescale in different regions. Seasonal early warning is vital for drought management in arid regions like the Limpopo Basin in southern Africa. 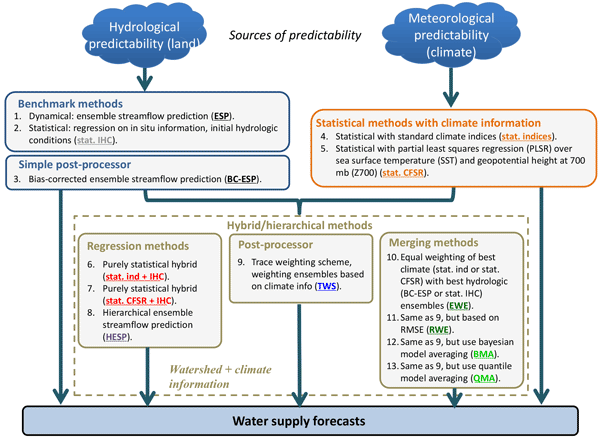 This study shows that skilled seasonal forecasts can be achieved with statistical methods built upon driving factors for drought occurrence. These are the hydrological factors for current streamflow and meteorological drivers represented by anomalies in sea surface temperatures of the surrounding oceans, which combine to form unique combinations in the drought forecast models. The use of general circulation model outputs for streamflow forecasting has developed in the last decade. In parallel, traditional streamflow forecasting is commonly based on historical data. 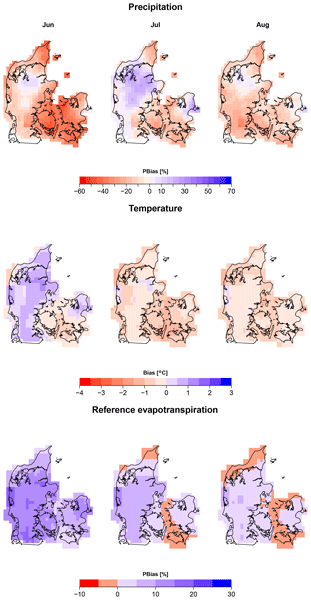 This study investigates the impact of conditioning historical data based on circulation model precipitation forecasts on seasonal streamflow forecast quality. 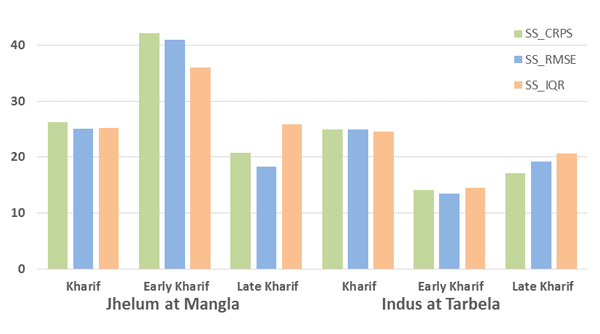 Results highlighted a trade-off between the sharpness and reliability of forecasts. Most statistically based seasonal precipitation forecast models utilize a small set of well-known climate indices as potential predictor variables. 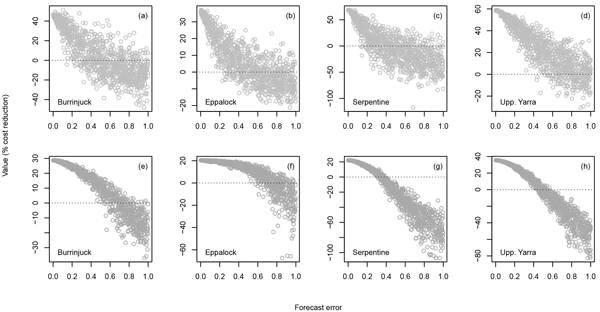 However, for many target regions, these indices do not lead to sufficient results and customized predictors are required for an accurate prediction. 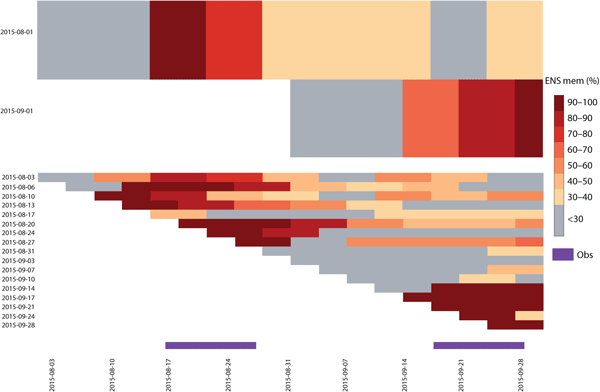 This study presents a statistically based routine, which automatically identifies suitable predictors from globally gridded SST and climate variables by means of an extensive data mining procedure.